Bharat Web Host is a Web Hosting company founded in 2010 in India and operates from InfoPark, Kochi, Kerala. They have their own inhouse 24/7 technical team of international work standards and administrates over 14000 domains from clients all over the globe. They have one of the best Web Hosting available in the market and they are one of the top hosting providers in the region. Their providers data center is located in the heart of downtown Dallas, TX. It is in a Tier 3+ facility on the same protected power grid as Dallas 911 and the local hospitals. This means they are exempt from rolling blackouts that historically have been an occurrence due to the Texas summer heat. Power is sent to the data center from four different substations, requiring all four substations to go offline before power to the building is interrupted. Additionally, the data center is serviced by water feeds from the north and south of the building. At Bharat Web Host your servers have access to two networks within their infrastructure. The public network connects your servers to the Internet through multiple Tier 1 carriers. Their private network is connected to all of your servers allowing you to disable public access to servers and only allow private traffic. They provide cPanel for linux hosting and web panel for windows. Both control panels are very much customer friendly and easy to handle.They provide excellent knowledge base to their clients about these control panels which helps them to easily manage their hosting account. As one of the leader in Indian web hosting industry , they are always keen to provide excellent care to their clients about all hosting needs.Their shared hosting packages are highly feature rich which covers all the needs of a customer who looks for affordable shared hosting in India. They have their own 24/7 support team. Their support wing is vigilant in 24 hours to provide quick solutions to clients' queries. 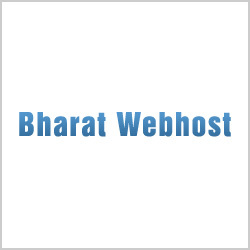 Bharatwebhost are one of the best services providers with affordable packages and extraordinary features. 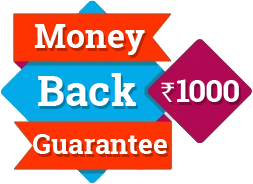 I am hosting my website with bharatwebhost for more than 6 months, I have not got any problems apart from some minor issues. Bharatwebhost services are recommended especially for startups.